Rob - Rob. Vinyl LP. Bleep. The latest Rob reissue comes courtesy of Mr. Bongo. Anyone familiar with the Ghanaian artist’s work will know that his style is a riotous mix of Accra Funk, James Brown-style soul and West African disco. 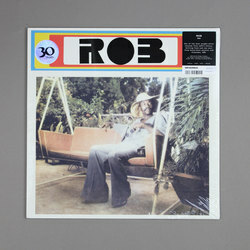 His eponymous 1977 LP captures Rob at his brilliant best, all pulsating dancefloor grooves and raucous vocals. Cuts like ‘Boogie On’ and ‘Funky Rob Way’ are must-hears - you’ll not find many better examples of golden-age Ghanaian boogie than these.